Welcome to your Ballet On Wheels Dance School account portal! This account is used for class registration, payments & managing your account only. By entering your contact information, you are beginning the formal registration process to enroll in classes with Ballet On Wheels. Parents are required to have a credit card on file. Note: Some promotional discounts may be applied after enrollment. The 2018 - 19 Dance Season begins on September 4, 2018. 1. Enter family contact information. 2. Enter student contact information. selection(s). Retain your login and password for future account access. We look forward to working with you this dance season! There are no refunds on tuition payments. 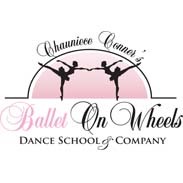 Already Registered with Ballet On Wheels Dance School & Company? New to Ballet On Wheels Dance School & Company? If you have taken classes before with Ballet On Wheels Dance School & Company and you have given us your e-mail address, try the forgot your password link. If not, please contact the office to give us your e-mail address and to set your password.